Share the post "Sip in the Lone Star State: A Tantalizing Trip to Texas Wine Country Inns"
October is Texas Wine Month, and what better way to mark the occasion than with a bounty of luxurious B&B’s located in wine country. With over 45 wineries in the Lone Star state, scattered across the expanse of some spectacular scenery, wine lovers will encounter varying terroir and winemaking styles throughout the region. And because everything is bigger in Texas, the industry is steadfastly becoming bolder, which means the wine is only getting better! Located in beautiful Brownwood, TX on two wine trails – the Way Out Wineries and Texas Hill Country – Star of Texas Bed & Breakfast offers wine lovers access to all of the action. 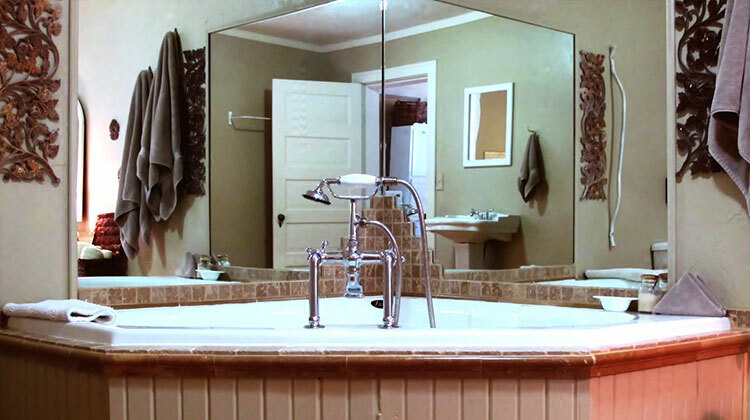 The inn’s spacious and private cottages make for a comfortable environment in this idyllic setting, which is conveniently situated near the peaceful and secluded Lake Brownwood. Here guests can appreciate the native wildlife and breathtaking landscapes that encompass the property. 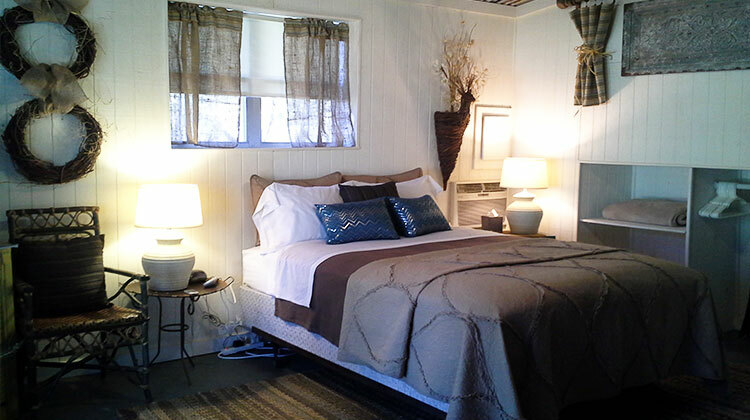 Each cottage is uniquely appointed and features its own bath, Wi-Fi, small refrigerator, candles, and outdoor hot tubs. Select accommodations also include soaking tubs. A delicious hot breakfast is delivered every morning and can be savored before exploring the region’s numerous activities and attractions. Among the local wineries innkeeper Debbie Morelock recommends include Wedding Oak Winery in San Saba (the Harmony Ridge red is favorite, and the Albariño took home Best Double Gold at the San Francisco International Wine Competition! ); and the award-winning Brennan Vineyard in Comanche, which brought home two Double Golds from the San Francisco International Wine Competition for their Mourvèdre Rosé and Tempranillo. They are the first ever Texas winery to achieve that, providing further proof that Texas wine is on the move. Situated on the edge of Texas Hill Country, Morning Glory House B&B in Christoval, TX provides guests with a perfect riverside escape for wine lovers in its serene and secluded lodging. Constructed in 2002, this two-story cottage resides right above the South Concho River’s edge and sleeps up to four people. (Additional lodging is available in the Bunk House for up to six people.) Amenities range from plush, cozy decor and air conditioning to Wi-Fi, satellite TV, VCR/DVD, and BBQ grills. Foodies favor a bounty of breakfast delights to enjoy on your own schedule including country fresh eggs, sausage, seasonal fruit, cheeses, bagels, sweetbreads, and assorted beverages. 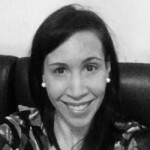 There is also a plentiful supply of dry cereals, oatmeal, sweet rolls, and snack bars. From the wrap-around porch and outdoor seating areas, visitors take in spectacular views of the river along with exquisite surroundings where wildlife abounds. In warmer months, they also enjoy canoeing, fishing, and tubing. Just 15 miles south of San Angelo, short trips can be taken year-round to nearby attractions along the Texas Forts Trail and more. Christoval Winery, the inn’s next-door neighbor, is celebrated for its Tempranillo, Vermentino, Riesling, and Mourvèdre. This year the winery won a gold medal at the Finger Lakes International Wine Competition in New York for its Angelo Red blend. A favorite of the innkeeper is their Almond Champagne! Nestled between San Antonio and Austin, Kuebler Waldrip Haus Bed and Breakfast in New Braunfels, TX lies on 43 tranquil acres a few minutes from the Guadalupe and Comal Rivers and numerous popular restaurants, shopping, and attractions in the region. The property features three elegantly restored buildings, a cottage, an 1847 German rock homestead, and a 1863 schoolhouse. There are nine rooms and one suite. All accommodations feature a king- or queen-size bed, heat, AC, TV, private baths (four Jacuzzi tubs), coffee pot, refrigerator, and a porch or access to a patio area. In the morning guests relish a decadent, large hot breakfast that features egg dishes, fresh fruit, meat (bacon, ham or sausage), homemade breads, potato dishes, homemade tamales, cereal, and various beverages. Fun fact! 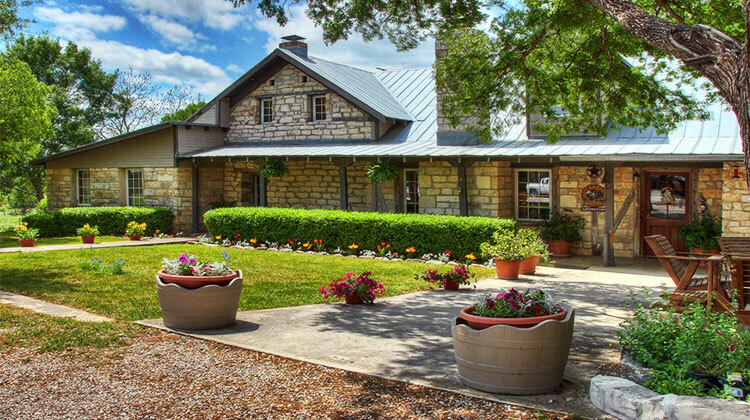 The Historic Kuebler Waldrip Haus property was first owned by Francois Guilbeau, a French-born wine merchant, credited with saving the diseased French vineyards (in 1850’s) with mustang grapevine cuttings that came from the Comal County region. Today wine lovers can discover area wineries including Dry Comal Creek Winery, which produces whites such as French Colombard; reds such as Cabernet Sauvignon; plus Demi-Sweet and Dry Sparkling. They can also enjoy live music at River Road Icehouse and Gruene Hall. Other great attractions just 20 minutes from the inn include the Natural Bridge Caverns and Natural Bridge Wildlife Ranch. There are many year-round festivals including a gourd show, a quilt show, Wurstfest, and more.